Achieve those gleaming pearly all celebrities sport! If there was one (or thirty two) facial component(s) people tend to forget in their beauty regimes, it’s the teeth! A pearly white smile is not only attractive, it also gives you a better first impression. Even if you’re a diligent brusher, it’s so easy for teeth to discolour and become yellow. Coffee, gravy, and many other drinks and foods stain our teeth on a daily basis. So how can you keep your fangs white without spending on professional teeth whitening? You’re welcome. Proper and thorough brushing twice a day limits the build-up of plaque, which prevents teeth discolouration and other oral problems. Also, here’s the one not many people know – there’s a wrong way to brush your teeth, which is the horizontal back-and-forth sweeping motion. Instead, tilt your toothbrush at a 45 degree angle so that your bristles touch your gumline (where your teeth and gums meet). Then, brush in circular motions up and down your teeth. Well-known for its whitening properties, the strawberry apparently works wonders for celebrities. 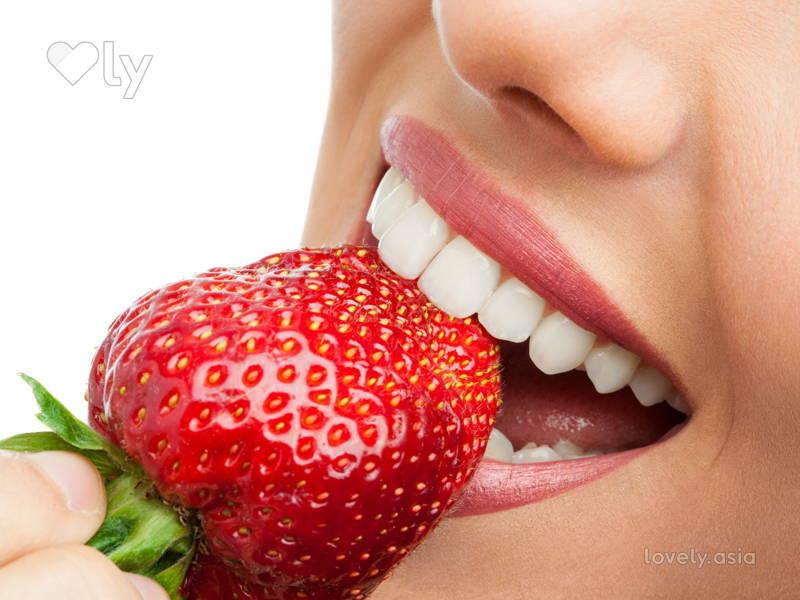 All you need to do is rub a strawberry against your teeth to get the whitening process started. Here’s another “straw” that makes a difference: over time, carbonated drinks and coffee stain your teeth, so use a straw instead of sipping it directly from the cup. This minimises contact between the coffee and your teeth. This multi-wonder oil has many health benefits, and here’s another one for the list! 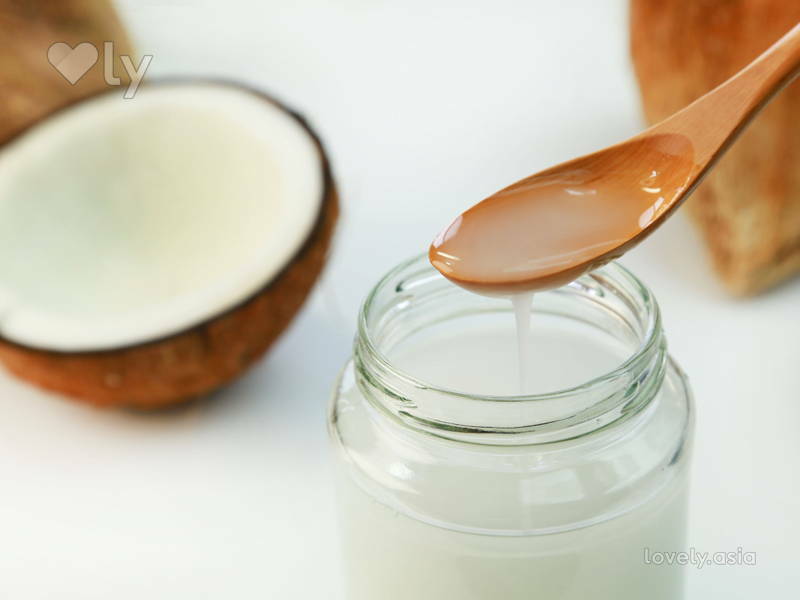 Coconut oil helps whiten your teeth. Certain people swear by oil-pulling, which is to swish the oil in your mouth for 5 – 10 minutes in place of a mouthwash. Not only will it help whiten teeth, it also has Vitamin E, antibacterial, and antioxidant properties that improves your oral health. Before you jump on this bandwagon, do a small allergy test by applying a bit of oil onto your elbow crease and leave it on for a while to see if you get a reaction. Lemon is known for its bleaching properties, which helps with teeth whitening. Rub the peel against your teeth and rinse off right after. 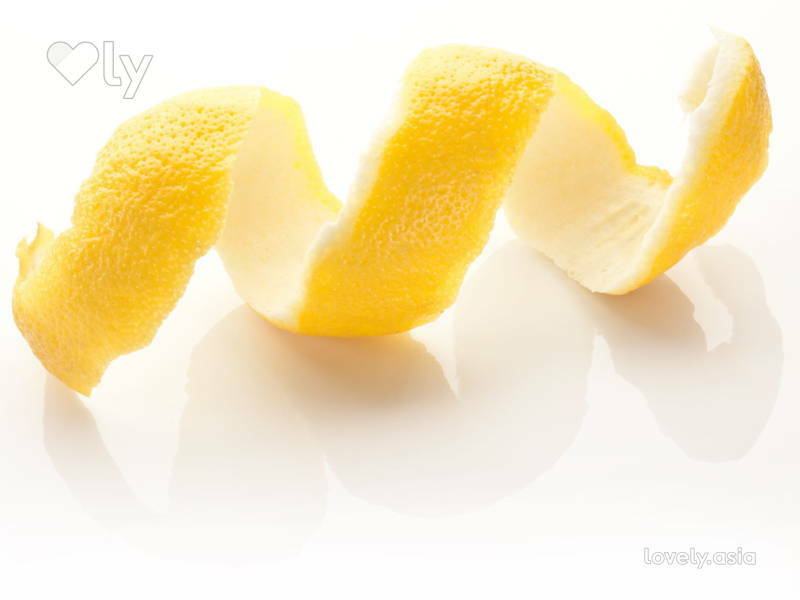 A word of caution about lemon as its acidity can wear your enamel out. If you want to give this method a try, be sure to space out the times you do it and don’t leave it on for too long. 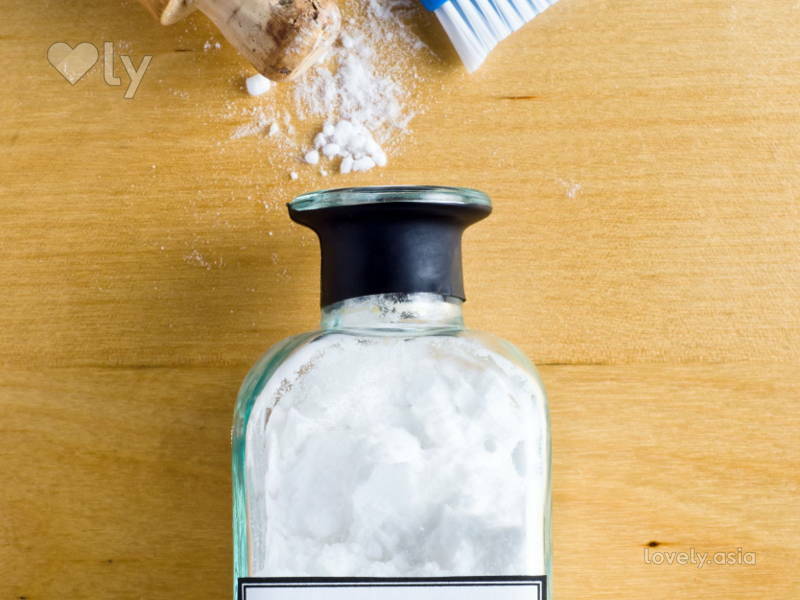 All you need is 2 tablespoons of hydrogen peroxide and 1 tablespoon of baking soda, then, combine them into paste. Brush the paste onto your teeth with a toothbrush. These natural ingredients work together as a whitener. Underarm Discolouration: Set Your Pits Free!